WE ARE OPEN ALL YEAR! Camping is truly a pleasure at Holiday Travel Park of Chattanooga. 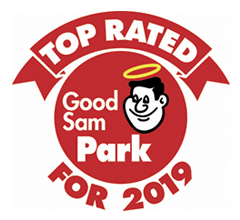 The Good Sam RV Travel Guide and Campground Directory has recognized Holiday Travel Park of Chattanooga, Tenn as a Top Family Campground for 2013, 2014, 2015, 2016, 2017, 2018 and 2019. Boasting campgrounds from Alberta, Canada, to the Emerald Coast of Florida, this list of 52 RV Parks is tailored for RV travelers seeking campgrounds that help them get away from the stresses of everyday life, according to a news release. Each park on the list boasts unique qualities that make it a special vacation destination. 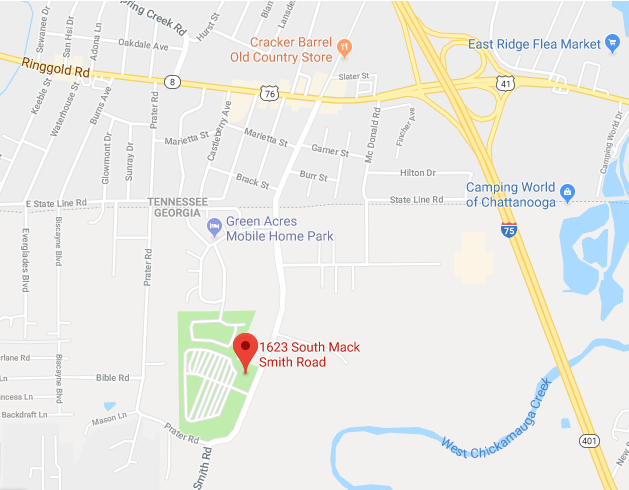 Located only one half mile off I-75, we offer well-groomed and shaded campsites with all the amenities you might want for your RV vacation, Holiday Travel Park of Chattanooga is located on a Civil War battlefield which served as a skirmish site in 1863 preceding the Battle of Chickamauga. The area is rich with Civil War history and artifacts. Most of our 170 campsites are pull-through, graveled and level with water, sewer, 30/50 amp electric, cable TV connections and we have RV sites up to 70′ for big rigs. 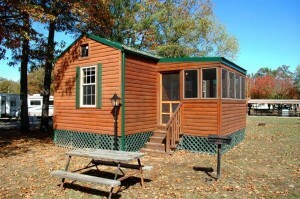 We offer rustic camping cabins sleeping up to 5 people with electricity, air conditioning and water spigots. We also have Camping Cottages with many more “creature comforts”! Tent sites are also available. All campers enjoy our newly renovated pool and youngsters find our playground fun while your pet enjoys the dog park. 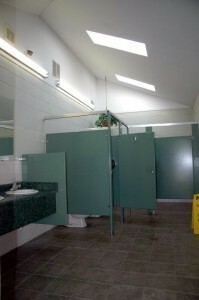 Our new state-of-the-art bathhouse is the ultimate in handicapped accessible facilities. 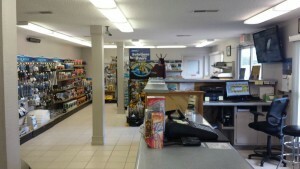 We also offer free Wi-Fi high speed internet so you can stay connected while on the road. For your convenience you can pick up forgotten items in our new grocery/RV store while catching up on the laundry in our newly remodeled, air conditioned laundry room. 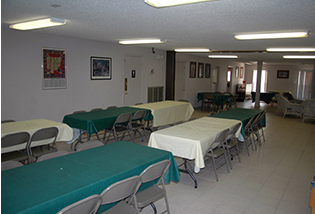 Our modern indoor meeting room can easily accommodate clubs, organizations, family reunions and private parties of all sizes year-around. The adjoining Kitchen makes meal preparation and serving easy. You can even sit back and relax by the fireplace. For outside festivities we have a 24’48’covered pavilion for clubs and private parties. We also welcome long term campers by offering a monthly rate.